New twist in the medical-marijuana situation - Governor Gregoire just announced she's asked the federal government to reclassify marijuana so that it could be prescribed for medical treatment and made ... Read more..
(TOPLINE: King County Library Board decided at about 7:52 pm NOT to decide, yet, on the re-proposed consolidation of WC and Boulevard Park libraries) 5:10 PM: We're in Issaquah tonight with ... Read more..
After the DEA raids earlier this month at a dozen-plus medical-marijuana establishments around West Seattle, including GAME Collective's White Center lounge, we obtained and published details from the first search-warrant ... Read more.. Thanks to Josh for the tip: ESPN.com takes an in-depth look at the tale of Tyrone Curry, whose election as Highline Public Schools board member is about to be certified ... Read more..
From North Highline Unincorporated Area Council president Barbara Dobkin, we have word of what's on the agenda for Thursday's NHUAC meeting. The Comprehensive Plan item is big: "Karen Wolf ... Read more.. The issue of potentially consolidating the White Center and Boulevard Park Libraries has resurfaced - five months after it was tabled - and you're asked to speak up before it's ... Read more..
That's our photo from last year's White Center Chamber of Commerce Heroes Awards/Toys for Tots Christmas Luncheon, and this year's edition has just been announced. From Chamber president Mark Ufkes: The ... Read more..
2:49 PM: Governor Gregoire was scheduled to spend today touring the state to talk about her "supplemental budget" proposal - but canceled most of the stops because of the stormy ... Read more..
Out of the inbox: This dog was found in a White Center parking lot this afternoon around 3:30 pm. Chris says it was taken to a vet, but had no microchip, ... Read more..
Just got this from White Center Art Walk organizers - sorry we can't hotlink the URLs immediately but wanted to pass the information on as fast as possible - it's ... Read more..
11:12 AM: Reminder that White Center Food Bank is now open, till 7 tonight, to accept frozen turkeys, chickens, and any other kind of holiday food you'd care to donate. ... Read more..
Friends of the victim's family are casting a net far and wide to try to help investigators solve an attack last night. First, here's what the King County Sheriff's Office ... Read more..
30 new apartments have officially joined the White Center community, now that Unity Village has celebrated its grand opening. 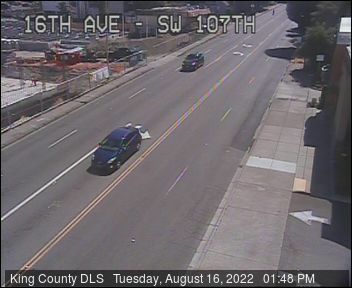 You might recall the affordable-housing project at 13th SW/SW 100th for ... Read more..
From the City of Burien's latest newsletter: The Washington State Boundary Review Board for King County has set the public hearing date on Burien's proposed annexation of North Highline. The hearing ... Read more..
After the DEA search in downtown White Center earlier this week, news emerged (first reported yesterday afternoon by PubliCola) of a disturbance on Saturday night. From King County Sheriff's ... Read more.. The White Center-South Delridge Community Safety Coalition usually meets later in the month, but since the fourth Thursday this month is Thanksgiving, the meeting is tonight - 6 pm at ... Read more..
One week till Thanksgiving! Here's one place you might consider spending yours: On Thanksgiving day (November 24, 2011), The Good News Christian Fellowship Church will serve a Thanksgiving Day Dinner with ... Read more.. If you haven't already seen it on our partner site West Seattle Blog, we've obtained and reported on the search-warrant affidavit related to the Tuesday raid on the GAME Collective ... Read more..
3:05 PM: In at least three counties, federal Drug Enforcement Agency officers are searching medical-marijuana businesses - and one of them is in White Center, the GAME Collective 'lounge' in ... Read more..
Wednesday: Learn about building a rain garden! Monday, November 14th, 2011 Posted in Environment | Comments Off on Wednesday: Learn about building a rain garden! Sustainable Seattle's "Sustainable Rain" project will be in White Center this Wednesday night with information about how to build a rain garden as part of a "sustainable landscape" - and ... Read more..